Sunnyside Dru: do you have room? Occasionally we hear from people, asking if we have room on the farm for something. It can be alive or inatimate. 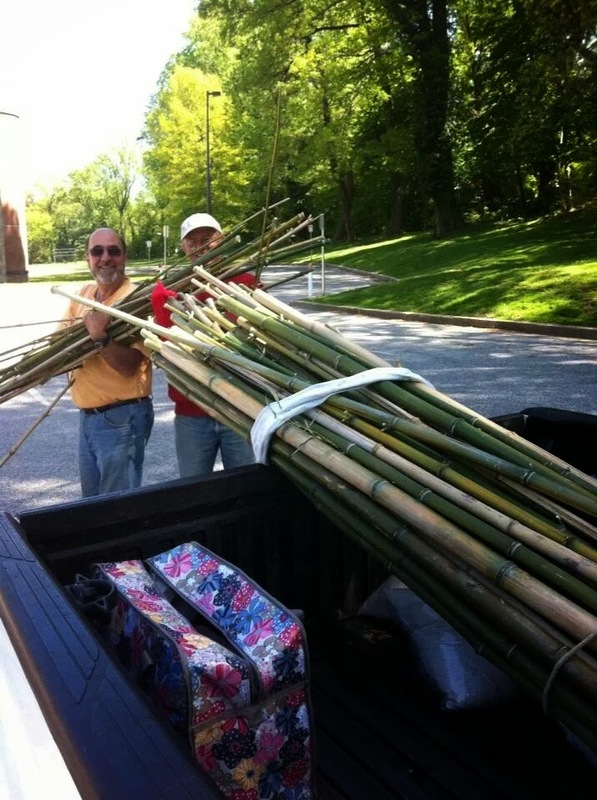 Over the summer, there were several truckloads of bamboo poles. Always a use for those on a farm! Dogs have joined us, when people say "that dog went to a farm", sometimes that means our farm. The sweet dog that we traded 2 chickens and a dozen eggs to get. And the pot bellied pig that the cops found in Steelton ended up with us. And in our own version of duck dynasty, a box full of Pekin dogs arrived on farm yesterday. Before we moved onto our farm we leased land. The owners of that property kept a few Pekin ducks...they grow to be very big, solid white ducks...and they roamed loose during the day and were boxed up at night. They are so fun as they waddle, honk to each other and eat endless amounts of gnats and mosquitoes. We have lost ducks we had in years past to things in the night. This batch will get a shelter that locks up solid at night, and will be trained to go in there at the end of each day. There was another cardboard box of chicks. The kind that grow up to be broilers. The ducklings and the chicks will have to go into the brooders until they have full feathers. Their downy coverings will not keep them warm enough in January in Pennsylvania. The feathers grow in quick so it will not be long before they are outdoors.